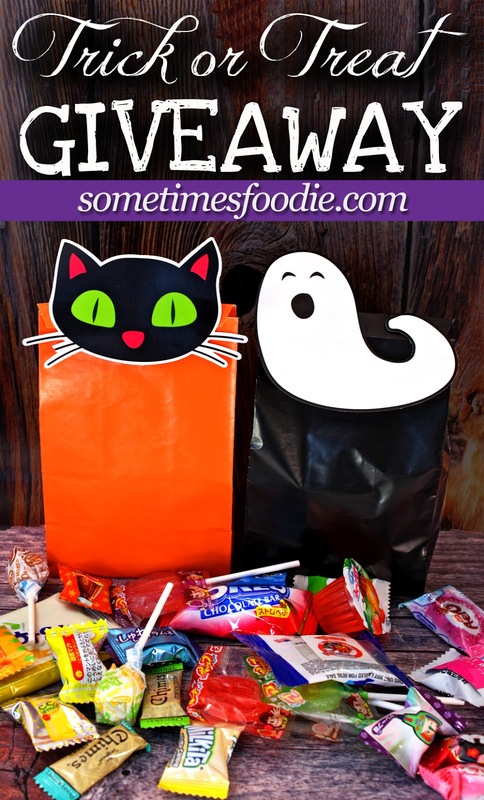 Sometimes Foodie: CLOSED - Trick or Treat GIVEAWAY! CLOSED - Trick or Treat GIVEAWAY! so I'm sharing the wealth with a little giveaway! I'm going share some of these sweets I have squirreled away! COMMENT down below and tell me what your FAVORITE Halloween Candy is! Each one will receive a Treat Bag stuffed with the candies and treats shown above. Most of it is Japanese, and most of it I've reviewed on the blog! Thank you all for following & GOOD LUCK! Favorite Halloween candy is Twix, although I would eat them all year round. Candy corn m&ms 😆 thank you for the fun giveaway! Does anything beat a Reese's? Well, maybe a Take 5, but unfortunately that's not given out so much at Halloween. Ahahaha we're about the same in favoring Reese's and Take 5!!! I remember always getting home disappointed by finding at most 1-2 Take 5 bars in my bag each year, if that! I'm shocked no one seems to give these out!!! You're one of my winners! Thank you for reading my blog and entering my contest! First Place: "There's no wrong way to eat a Reeses!" Reeses peanut TV butter cups are the best, but Kit Kats are good too. Im gonna say Pixie Stix and Nerds! Both are candies I LOVE but are also something I hardly ever just buy for myself! Halloween time individual wrapped twizzlers are so good, the twizzlers you buy in 1 lb bag are not the same. Anyone else notice this? My favorite Halloween Treat is a tie (sorry, love candy too much to choose one) are Reese's FastBreaks, Take 5 Bars, and Laffy Taffys. Luckily I recently found the pumpkin donut laffy taffys at Wegmans (you could select your own flavors so let's just say I chose only the pumpkin donut flavor when filling my bag and there's no more in that store), but in a perfect world Japanese candy would be more common. I would die for any sort of fun Japanese candy!!! I'm a glutton for pumpkin, taro, and anything with sugar. The only candy I didn't ever like with both sugar and pumpkin involved are Tasty Kake's pumpkin/pumpkin cheesecake pies, and that's just because I don't like pie crust too much, it gets in the way of my precious pumpkin. Butterfingers! Not the cups ones. The original! Oh, I love so so many candies all year round--but especially for Halloween, I've been treating myself to mini-bags of Raisinets... is it ironic that they're actually pseudo-healthy? My favorite Halloween candy is Oh Henry bars. Baby Ruth. So much better than Snickers! Candy corn! Until I get sick from sugar and self loathing! Also, tootsie rolls. My favourite is Reese's peanut butter cups- hands down! I'm a fan of the underappreciated Heath bar. My favorites have changed as I've grown xP When I was little--it was Reese's, than Whoppers, than Almond Joy & my new obsession is HEATH! Zotz! And I used to LOVE Waxed Lips and the wax bottles(more like test tubes) that were a pack of five that you would have to unhinge to break apart and then bite through the top of the tube to drink the liquid, and then you could chew the wax. Don't judge - it was the 70's. Reese's Peanut Butter cups... best when refrigerated!